At the launch of the Galaxy S10 series, Samsung announced that its ultrasonic fingerprint scanner is faster than traditional optical sensors. While demoing it on stage, Samsung said that you can unlock the Galaxy S10 by briefly tapping your finger on the sensor and then withdrawing it instantly. The reality, however, might look different once users stop being in awe of the device. 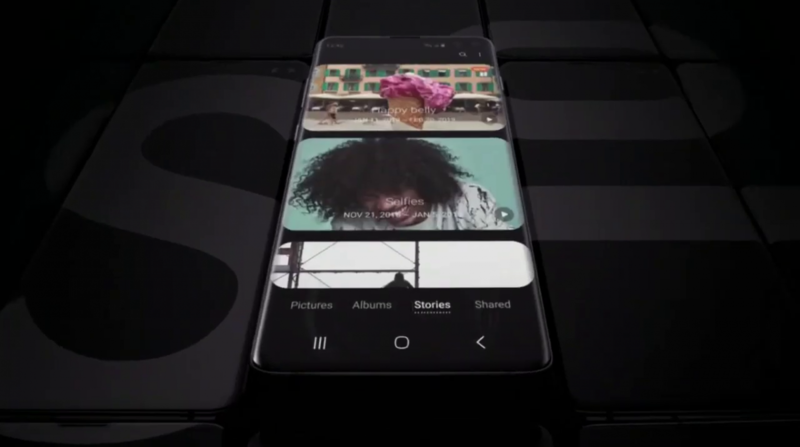 Daniel Marchena for XDA TV says that the ultrasonic fingerprint scanner on the Galaxy S10 has been a hit-and-miss affair so far but, the company is now taking a firm step to improve upon the security issue. Samsung has rolled out a new update to improve the working of the fingerprint scanner. The patch weighs only 7MB but improves the performance majorly. Comments on Reddit confirm that the speed of unlocking is much better than it was earlier, and the opinions seem to resonate with many users. Meanwhile, certain others also claim that the fingerprint scanner is improved in terms of reliability too and is now more accurate. Comment from discussion SnakeOriginal’s comment from discussion "Biometrics update rolling out". Comment from discussion Ohrenschmalz1’s comment from discussion "Biometrics update rolling out". 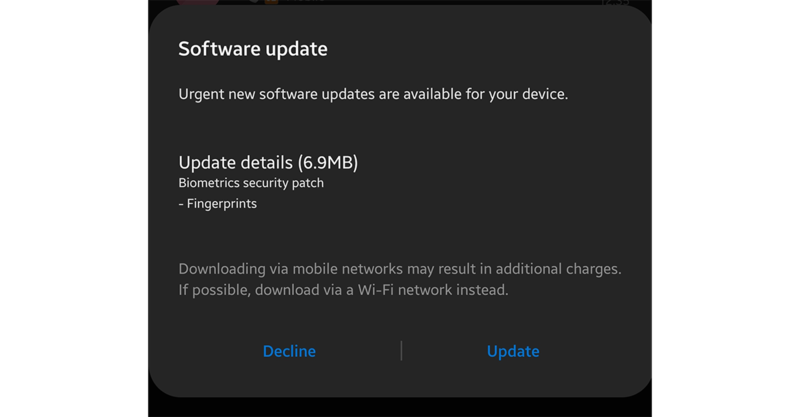 The update comes via the version 2.0.8.4 of the Fingerprints app and is applicable to both – the Snapdragon 855 and the Exynos 9820 – variants of Galaxy S10 (you can check for the version on your device by going to Setting > Biometrics & Security > Biometrics Preferences). The update is also rolling out to the Galaxy S10e, which has a capacitive fingerprint reader, and the Galaxy S10+, which uses the same optical scanner as the S10. Your Galaxy S10/S10+/S10e should prompt you to install the OTA urgently, but if it doesn’t, you can look for the update in the Galaxy Store. Please note that there may be some delay in terms of the rolling out of OTA to your Galaxy S10 based on whether you use a locked or an unlocked version. While a lot of Verizon users report that they have the update already, it looks like T-Mobile users are yet to receive it. But since it is an urgent update (and a tiny one), it might not take too long until all users get it.